Jon Montgomery's account of the genesis of Catapult:. We moved to Kingston Upon Thames, near the river, where I sailed a friend�s dinghy. I wanted a catamaran but had nowhere to store it. 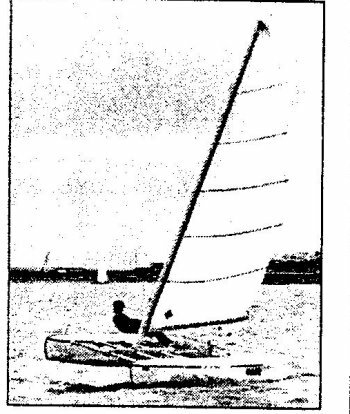 "The first boat was built in 1976 and had hulls assembled with two tubes, one on top of the other, with side walls and central aluminium beam to step the mast on and a single rudder blade. This boat was the basis for a design built by a French company Hutchinson Mapa. 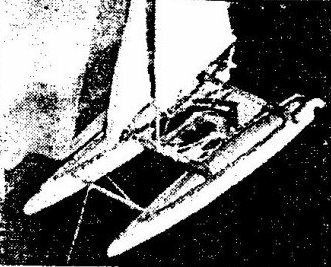 The boat proved difficult to manufacture and never really got off the ground. 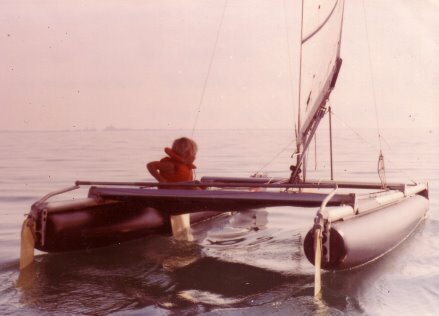 My next boat was �Dice� built for speed sailing at Weymouth and was the forerunner of Catapult which was initially built by Carboncraft. After a gruelling year trying to raise finance, we finally managed to get some funding from a venture capital company. 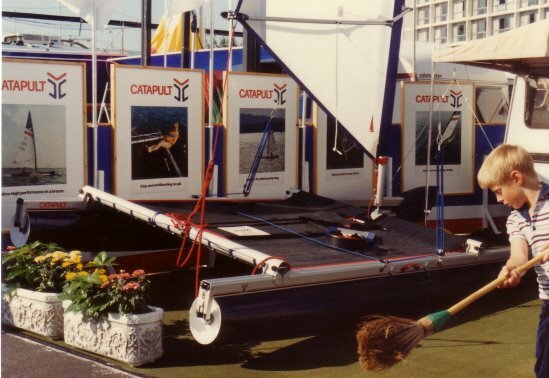 What followed was a period of intense design and development, and Catapult was launched at the Southampton Boat Show in 1982."